The Atomic Heritage Foundation has more than 500 interviews with Manhattan Project veterans and their families on “The Voices of the Manhattan Project” website. Here are some excerpts in which veterans and their family members recall and reflect on the bombing of Nagasaki. Fred Olivi, co-pilot of Bockscar: When I looked down, I could not see anything but a lot of smoke and a lot of dust. I could not see very much of the city, but I could see this cloud coming up. It came up to our altitude and shot past our altitude. Inside the center of the core of the mushroom was this boiling cauldron of salmon-colored pink flame that was in it. Bob Carter, physicist: I remember I wrote to my dad and I told him in a day or so there is going to be some important news about the war and I would like you to save me a copy [of the newspaper]. I am disappointed still that our government decided to bomb a city with primarily civilians and not much of a military objective. There were several of us who hoped that somehow our government would figure a way of demonstrating to the rest of the world and in particular Japan, threaten Japan with the use but demonstrate one somewhere so that the world could see that they were functioning bombs. 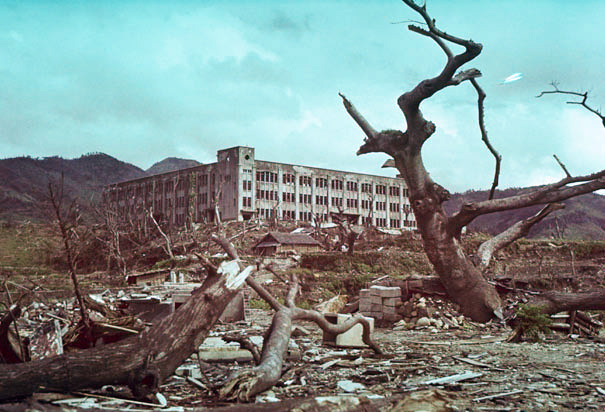 Robert Cantrell, a Manhattan Project architect and part of Walter Zinn’s design group: I always thought that Harry Truman and his generals should not have made the decision to drop the bomb on Hiroshima and Nagasaki. Maybe on a naval base or something, that is really an instrument of war, but these people were just people going about their daily lives and minding their own business and sure they were contributing to the war effort just the same as we were civilians contributing to the war effort. Ray Gallagher, crew member on Bockscar: I stood up and I looked straight down, and what I saw was the cloud underneath us. I hollered through my intercom mic to the pilot that if we didn’t get out, we were going to get caught in our own bomb blast. After the war, it was felt as if these two bombs played a terrific part in stopping the war. I personally, not because I was on both missions, felt the same way. Gerhart Friedlander, German-American chemist: Many of us couldn’t understand why we dropped the second bomb on Nagasaki, because it seemed that one atomic bomb was sufficient really to persuade the Japanese to give up. I’ve never heard a really convincing explanation of why we dropped the second bomb. Murray Peshkin, physicist: I questioned it at the time. It seemed unnecessary. We had not given them time to organize themselves to surrender. One person, even the Emperor, does not successfully surrender. He had to get the generals to agree to stop fighting. Russell E. Gackenbach, crew aboard the weather reconnaissance plane: They started it. It was our turn to finish it, and we did. We saved lots of lives, both in our military and in their military. If they would not have capitulated when they did, there would be some more atomic bombs coming along. Alvin M. Weinberg, American nuclear physicist: I don't think the second bomb, the Nagasaki bomb, was necessary. No, that was strictly General Groves. In fact, I was drinking whiskey with Groves one night in a hotel bar in New York after the war and he more or less agreed the second bomb was not needed. He didn't say why. Groves was first of all a military man. Al Zelver, Japanese language officer in the U.S. Army: We were obviously ecstatic to have the war end. All we knew was that some big bomb had been dropped. We didn’t know where or what the damage—all we cared about is that the war ended. Roslyn Robinson, driver and administration office worker for the Chicago Met Lab: I was affected first by my having taken part in the project. I don’t recall exactly what went through my head that set me to tears whenever I thought of it. Kay Manley, Los Alamos calculator: I think if they had waited a little bit longer, they might not have had to use that one. But you don’t know. You’re just guessing. I think the decision makers decided that it was necessary to use it, and so it was used. Anthony French, member of the British wartime atomic mission: I think after the bombing of Hiroshima many people at Los Alamos, including me, were really aghast that another bomb should have been dropped so soon after the first one on Japan. I mean, that’s just my personal feeling about it. Japan was not given a chance to assimilate the importance and the nature of what had actually happened at Hiroshima. I didn't feel that the dropping of a second bomb so soon was reasonable. Julie Melton, daughter of Manhattan Project historian David Hawkins: My father and I used to talk about Hiroshima and Nagasaki. He was one of those people who said it’s a terrible reality, but people had to know how bad these weapons were when it came to Hiroshima. When it came to Nagasaki, he was very bitterly against it, and very angry over the fact that they had had to do that second one. 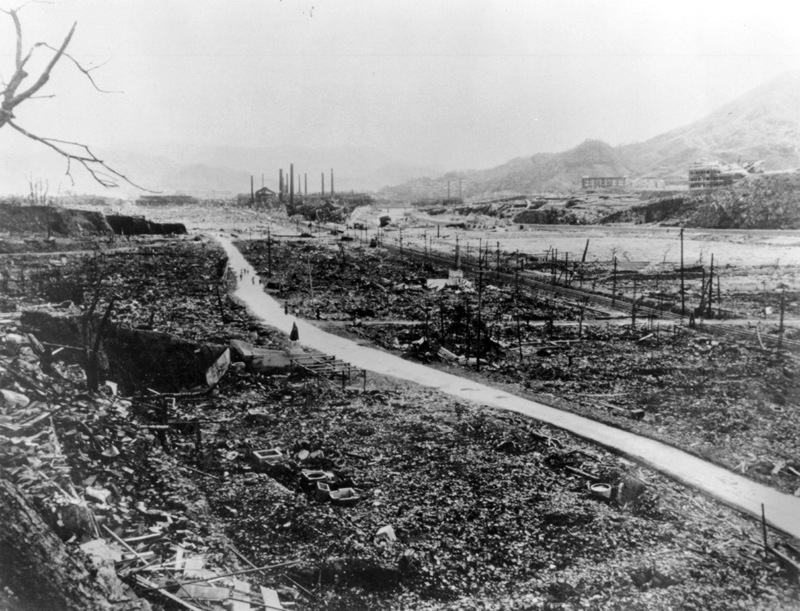 Cyril S. Smith, metallurgist: The Nagasaki bomb was completely unnecessary. This seems even more true in retrospect when you learned what was happening to the Japanese.